From Flowermate, a company that prides itself on pushing boundaries in vaping technology, comes the Flowermate v5.0s, their latest model! 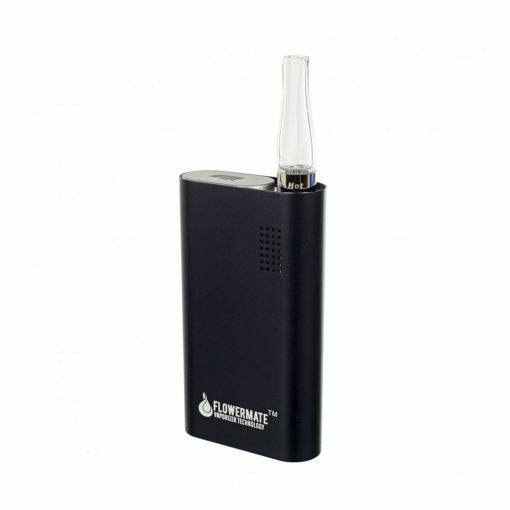 This beautiful palm sized, conduction vaporizer produces dense, flavourful vapour clouds that go down very smoothly! What ‘s more, unlike other conduction vaporizers, the Flowermates vapor is consistent across multiple draws without any loss of taste! 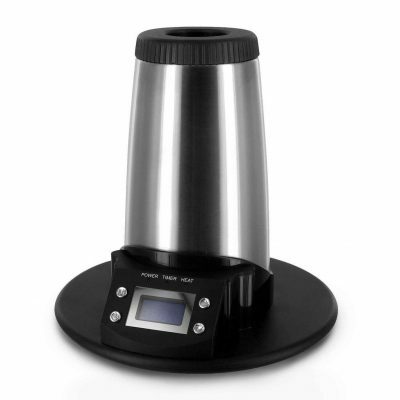 What ‘s more the Flowermate v5.0’s works at the same level whether you ‘re smoking dry herbs or concentrates! 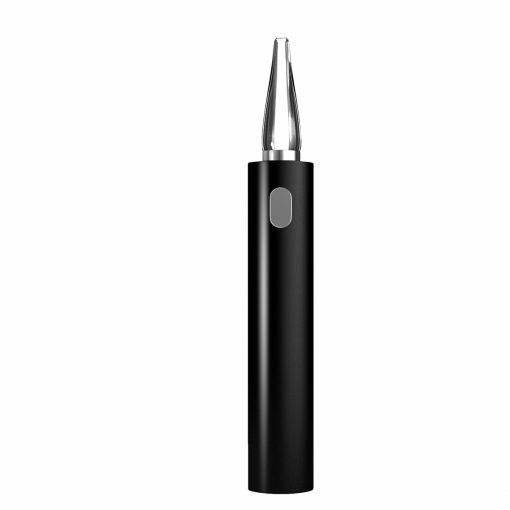 The Flowermate’s great flavour stems from the large, ceramic chamber at the centre of the vaporizer which, as many experienced vapours will know, is one of the best materials to produce a tremendous taste. This chamber leads to a glass mouthpiece which quickly cools the Flowermate for consumption, which is how the v5.0s can allow a conduction burn at such high temperatures while still having a smokeable vape cloud! This mouthpiece does many amazing things for the Flowermate. Its base is also off set so that, when your packing the chamber and you go to screw it on, the mouthpiece itself packs down the material. On the Flowermate itself we have an LCD screen which allows for dual temperature settings as well as full digital temperature controls. Temperature, with this vaporizer more than most others, is key here. Not only does the Flowermate allow for full control while having one of the higher temperature ranges, it ‘s also incredibly fast at heating up, even for your standard conduction vaporizers, taking only a few seconds before you can have your first draw. 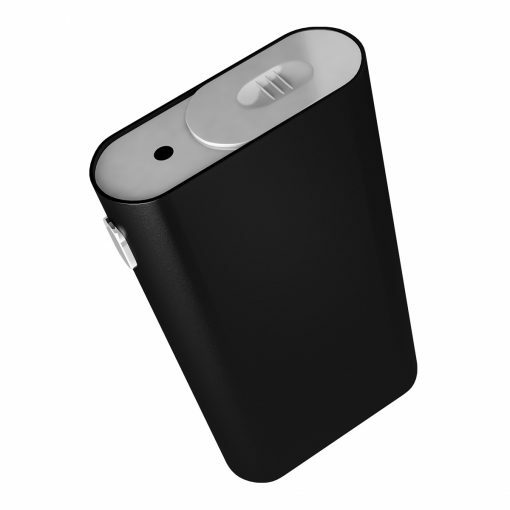 The Flowermate v5.0s can slip discreetly into almost any bag or pocket. 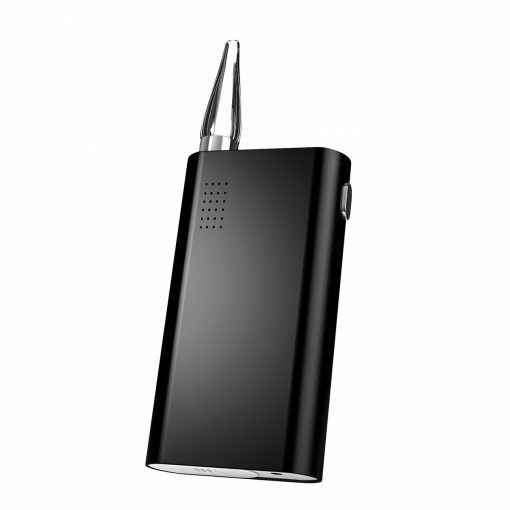 At only palm sized, what ‘s more, the mouthpiece can be screwed off and actually has a small compartment within the body of the Flowermate for added stealth. 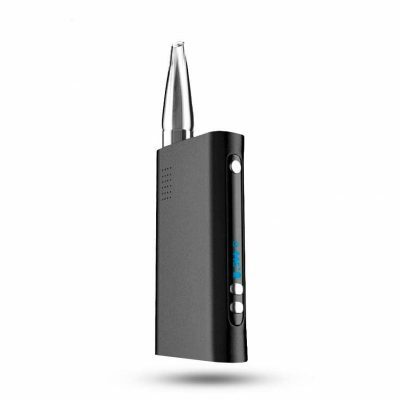 Overall, the v5.0s is the perfect starters vape or, if an experienced smoker would like to try something new, Flowermate have made something for you too, it ‘s definitely worth giving a go.